The nation’s leading watchdog of hospital safety and quality is quick to hand out its “Gold Seal of Approval” and rarely penalizes care-giving institutions, even when state and federal officials find serious problems. The Wall Street Journal deserves credit for its investigation of the Joint Commission, the nonprofit and industry-supported organization that is supposed to inspect and accredit hospitals nationwide. It does so for 80 percent of them, as well as for institutions serving military veterans, federal prisoners, and Native American patients in the Indian Health System. 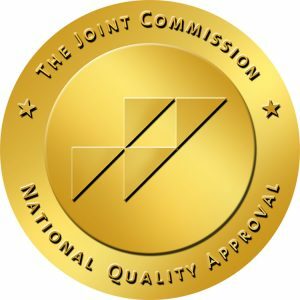 Hospitals can either join the commission and undergo its accreditation process—including regular inspections that typically are announced in advance, conducted with flourish, and which can cost institutions tens of thousands of dollars depending on their size and membership levels—or they can be inspected by state and federal officials. Most choose the Joint Commission. But the Journal scrutinized hundreds of the organizations’ results, comparing them with incidents in which state and federal regulators had stepped in, inspected institutions, and found them in violation of standards set under the Medicare and Medicaid programs. Commission officials defend their work, arguing that the group so rarely penalizes hospitals because it tries, instead, to keep them in the fold and to work with them to improve quality and safety issues. The Journal points out, however, the perception problems that can result when the public fails to get fully informed about woes at a baleful hospital like Cooley Dickinson. Three infants died in a few short weeks in late 2013 and early 2014 in the Northampton, Mass., facility, and poor hospital care was to blame, the Centers for Medicare and Medicaid Services decided, finding Cooley Dickinson out of compliance with safety requirements to participate in Medicare programs. The Joint Commission never changed its view or the hospital’s status as one its accredited institutions. Here in the nation’s capital, United Medical Center boasts on its web site that it holds the commission’s Gold Seal—supposedly meaning that “UMC complies with the highest national standards for safety and quality of care and is committed to continually improving patient care”—even as regulators from the District of Columbia have temporarily suspended the institution’s licensing for obstetrics care. Officials have been tight-lipped about the reasons why, but they reportedly involve poor and risky care. In my practice, I see the huge harms that patients suffer while seeking medical services, and the curtain of silence that falls from doctors and hospitals over these and many other terrible cases. It’s unacceptable that medical practitioners continue to get away with their insistence that their self-policing—including the commission’s demonstrably flawed system of hospital inspection and accreditation—serves patients and the public well. The nation’s most influential health-care regulator frequently serves the interests of the hospital industry over those of the public, giving its seal of approval to medical centers riddled by life-threatening problems and under reporting of patient deaths due to infections and hospital errors. How many patients have suffered dire harm or lost their lives since? We can and need to do better, including finding ways to ensure that our hospital watchdog stops purring and that better barks—and bites, when it so clearly needs to do so.